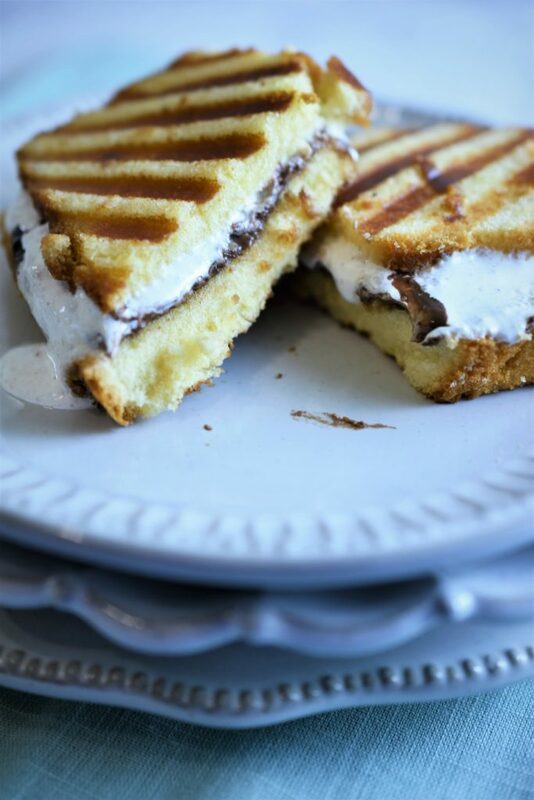 Pound Cake, Nutella & Marshmallow Panini | Recipe For A Party | Life is a Party, So Celebrate! Don’t you love recipes that come together quickly with only a few ingredients and the outcome is so very satisfying? 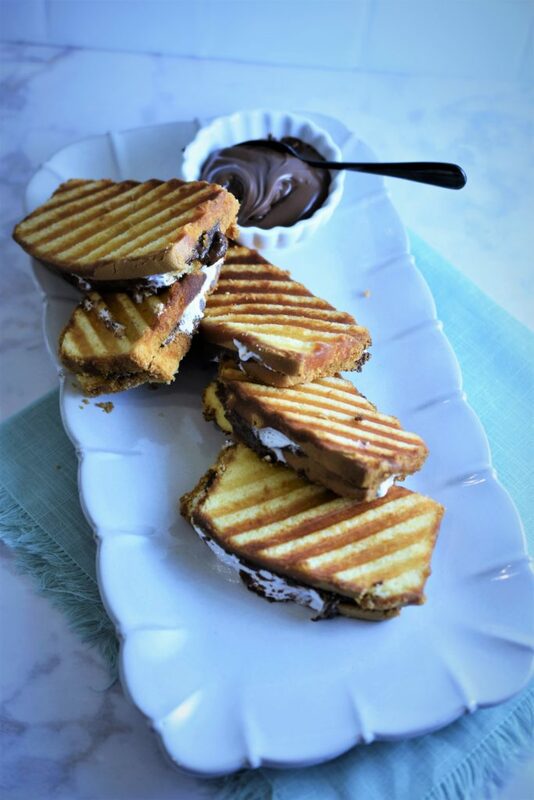 My recipe for these pound cake, Nutella & marshmallow Paninis are just that…quick and delicious. You probably have most of these ingredients in your pantry and freezer right now and they are calling your name to put this together or are those kids screaming at you because they want something sweet and yummy? Frozen pound cake and a few ingredients is all you need for this afternoon snack or party bite. 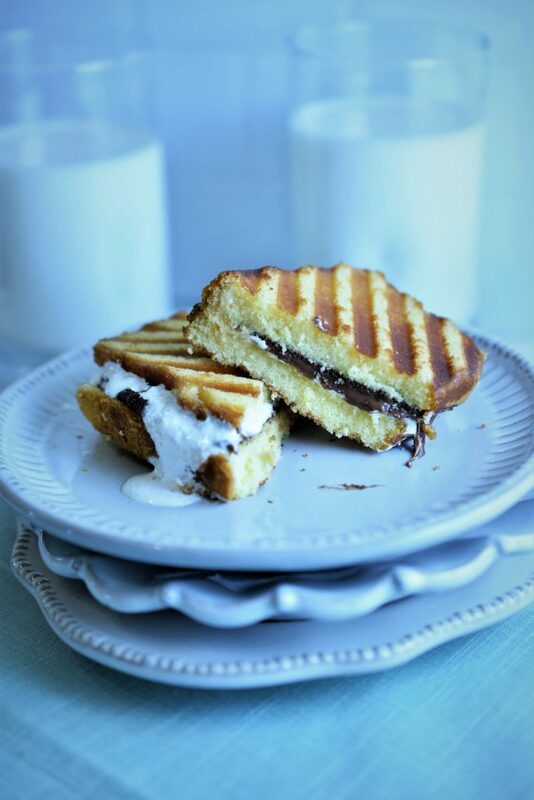 Moist, buttery, chocolatey and gooey are the words of the day with this recipe, oh and don’t forget a glass of cold milk to go with this. 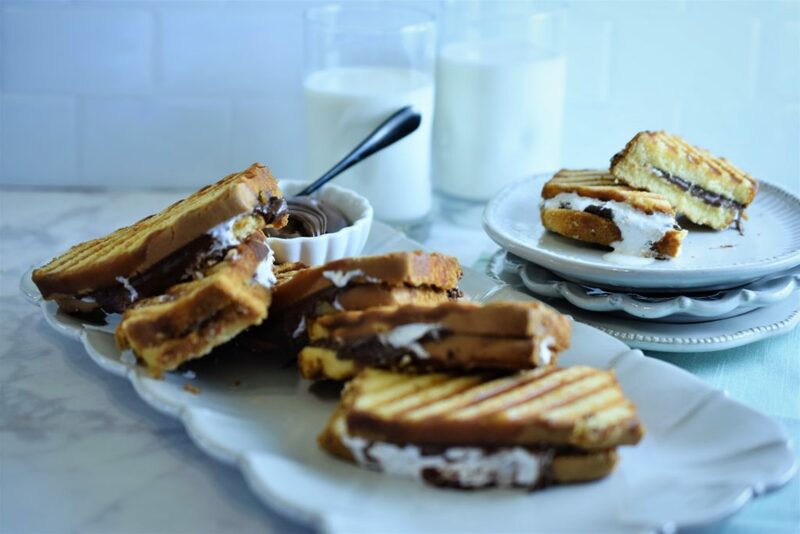 Spread a tablespoon of Nutella spread on one side of a pound cake slice and spread a tablespoon of marshmallow fluff on another slice and put together making a sandwich, repeat with the remaining slices of pound cake. 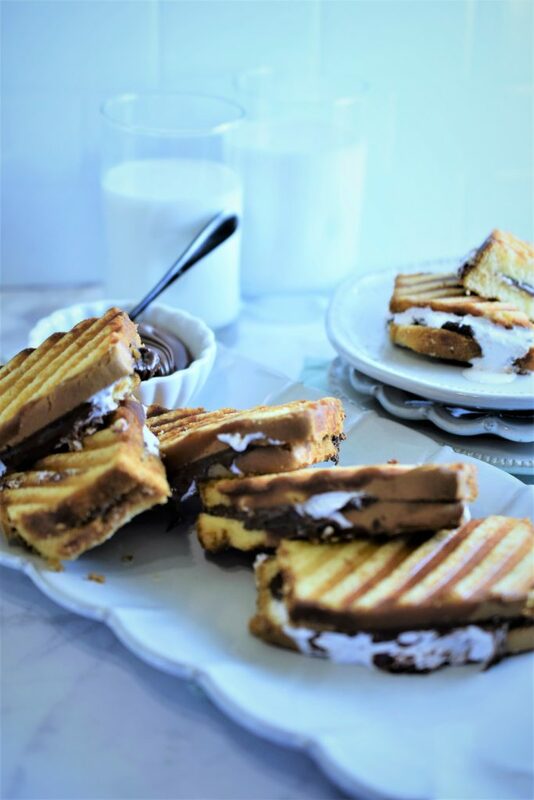 Place a few pound cake paninis on the grill and brush the tops with some melted butter and close the lid and toast for once cycle or until the tops are a golden brown, check halfway through to make sure they don’t get too toasty. I love that you show a substitution for Nutella in case there’s a nut allergy. 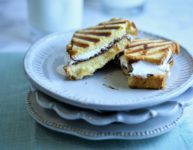 This recipe is unique and sounds easy enough to make with the kids!